We've been featured as Gallery of the Day on weddingbee.com! 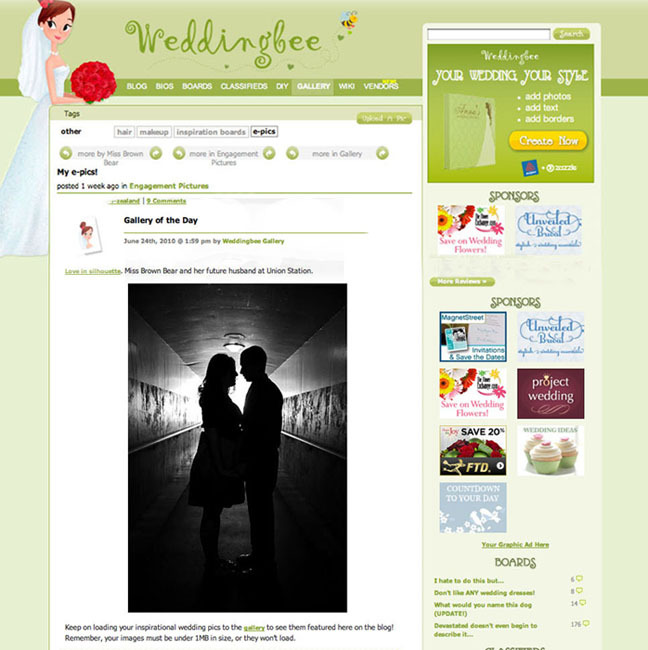 Wedding Bee is a blogging site for brides to journal the developments of their engagement and wedding. Thanks to future bride Becky for submitting our photo!